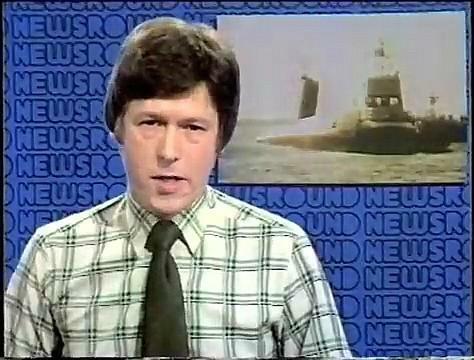 Firstly, in the video clip above you can watch a full Newsround bulletin from John Craven's Newsround in 1982. 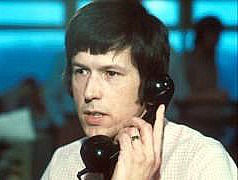 In 1972, John Craven began a regular children's news programme called Newsround, a programme that is still being aired today, albeit with different presenters. It was the first kids news programme ever produced for British television. 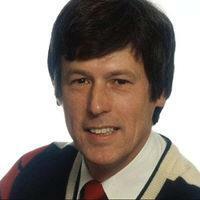 John Craven quickly became associated with children's TV and presented news items on Saturday morning TV shows, Multi Coloured Swap Shop (with Keith Chegwin, Maggie Philbin and Noel Edmonds) and Saturday Superstore with DJ Mike Read. John left Newsround in 1989 to present Countryfile which he still presents today. In 2015, John presented the BBC2 game show Beat The Brain. Am I the only one who had no idea that the opening titles to Newsround were actually part of a full-length tune called "Johnny One﻿ Note" by the Ted Heath Band. You learn something everyday I guess! First published as a paperback in 1981, John Craven's Wildlife Report was dedicated to wildlife conservation. JOHN CRAVEN HAS GOAT TROUBLE! In this excellent quality clip from 1982, we see John Craven (with Noel Edmonds) having trouble with a goat on the last ever edition of Saturday morning kids TV show, Swap Shop on BBC1.